Finally Microsoft has launched its first tablet which is very close competitor to Apple iPad both in terms of price and features to mark its entry into tablet segment. Microsoft Surface Tablet price in India is expected in the range of Rs. 25-30K ($499 official price, Rs. 38490 on eBay India) which is also price range of iPad. Microsoft Surface Tablet features 10.6" screen with 16:9 aspect ratio and dual camera for video chatting and photography. Microsoft Surface Tablet specifications include Windows RT operating system and five attractive color models. 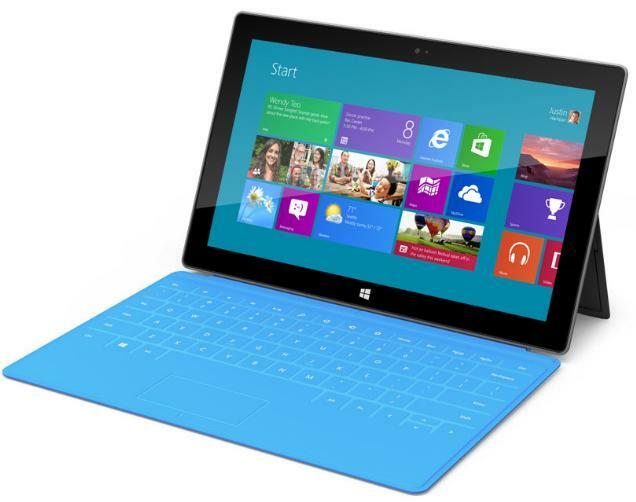 Microsoft Surface Tablet price and features will make it highly suitable for high end customers. Microsoft Surface Tablet features LifeCam on front side to provide high quality chat experience and primary camera for capturing excellent quality images and videos. It has 10.6 inch screen which will provide much needed wide display of videos, images and text content. Also the screen has auto adjusting screen intensity to ensure clear and vibrant display of content. The tablet will be available in two different models i.e. Microsoft Surface tablet (basic model) and Microsoft Surface Pro (high end model) with Windows 8 Pro OS. Microsoft Surface Tablet specifications include Windows RT OS which is expected to be best performing OS from Microsoft. It has Windows Store to provide providing entertainment from movies, songs and latest games for its users. Microsoft Surface Tablet has kick stand along with track pad and keyboard for providing easy and efficient usage of this tablet. It has VaporMg casing which will protect the tablet surface from scratches and other damages. Microsoft Surface Tablet price and its review based on select revealed features and specifications is expected to make it one of the nearest rival to Apple iPad. Microsoft Surface Tablet launch in India is expected in second half of 2012.